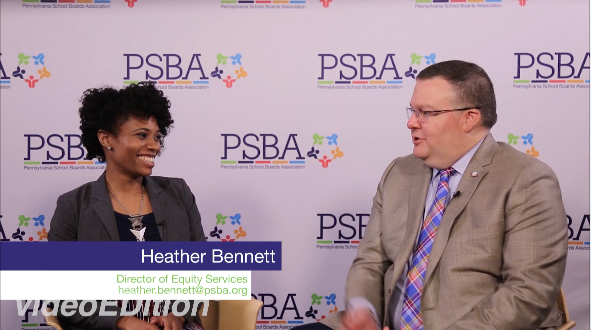 In this episode of Keystone Education Radio, PSBA CEO and podcast host Nathan G. Mains talks about equity with Dr. Heather Bennett Esq., PSBA’s director of Equity Services. Dr. Bennett clarifies the difference between equality and equity, and talks about Pennsylvania schools most urgent equity needs. Joining the discussion for the second segment, Michael Faccinetto, PSBA president and Bethlehem Area school director, highlighting equity efforts implemented in the district, how the district began addressing equity and where their efforts are headed.